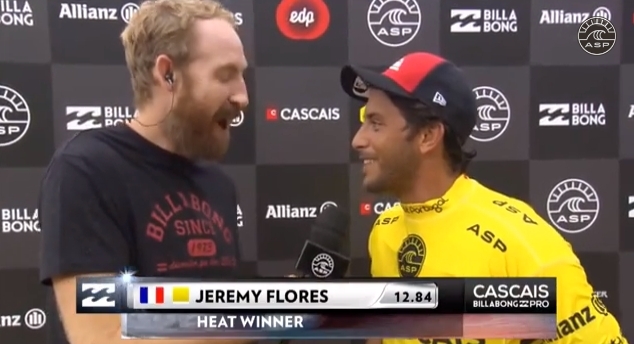 So, on Day Two of the Cascais Billabong Pro, just after Jeremy Flores won his round five heat against Carlos Munoz, he was interviewed by a fella named Ben Mondy. You might recognise the name from Surfline’s Power Rankings. Now apparently Jeremy has been reading Surfline’s Power Rankings over the past few months, and didn’t really appreciate Ben’s commentary on him. So here’s the conversation that went down between Ben and Jeremy, live on the webcast. You can watch said conversation in the video above, you’ve just gotta skip to 8:20:05. Ben: Yeah, thanks guys. Jeremy – the last couple minutes the wall just went down. What um, how was that last wave? What do you think you needed to do? Jeremy: I don’t know, maybe you should tell me, because I’ve been reading all the stuff you’ve been writing about me. So maybe you should tell me how to surf. Jeremy: Tell me, what was I supposed to do? Ben: Well, what you did mate. Go, attack it. Ben: And get the big score. What you did. You know, you’re an amazing surfer. I’ve never not said that, that’s for sure. Jeremy: Oh ok, that’s really nice to hear from you, because all that stuff I read is just negative. But thank you. Ben: Nah, well, thanks Jeremy. I mean, I’m glad you’re reading it and I know you’re one of the world’s best surfers. Jeremy: I’m joking. It’s fine. Ben: No, well, you got me. You got me. But mate, what we wanna see from you, we know how good you are mate, everyone wants to see you succeed. And that’s a big thing. So you know, you’ve had a tough year. Can you turn it around mate? That’s my probably question – it’ll make people like me, maybe shut me up. Jeremy went on to talk about his year, very open and honestly, and if you’d like to hear that next bit then skip to 8:21:00. Our take? 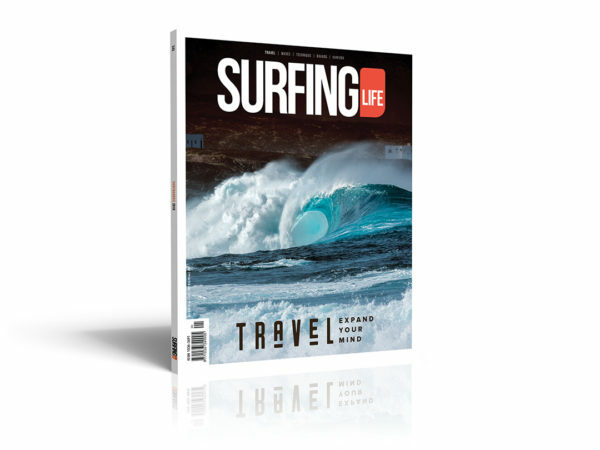 All we can say is this: it’s a pretty small world, this surf industry, and it ain’t easy being a surfer, nor a surf journo. Can’t make everybody happy, and sometimes, things come back to bite ya.